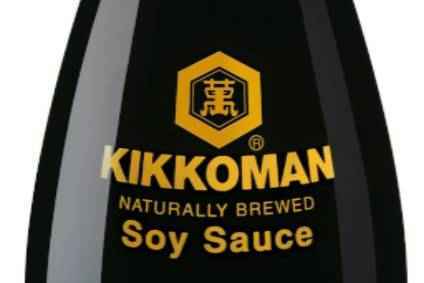 Indian business FieldFresh Foods is partnering with Kikkoman to sell the Japanese soy sauce maker's namesake products in the country. FieldFresh, a joint venture between India's Bharti Enterprises and Singapore-based food group Del Monte Pacific, will have the exclusive rights to manufacture and market Kikkoman products in India, strengthening its presence in condiments, according to a statement. Kikkoman's range will be made at FieldFresh's plant in Hosur in Tamil Nadu. The facility was set up with an initial investment of around INR1.5bn (US$23.1m) in 2009-10. India's soy market is estimated at INR1bn in retail and foodservice combined and is expected to grow at 20% per year, the statement said without attributing the figures. Del Monte Pacific is looking to lead the "premium" oriental condiments category in India over the next three to five years, it added. Del Monte Pacific already sells products including culinary, beverages and Italian and packaged food, as well as condiments such as ketchups and mayonnaise in India. Rakesh Bharti Mittal, the chairman of FieldFresh, said there has been a surge in specialised restaurants offering oriental cuisine in India and the partnership fits with the government's initiative to promote the country's manufacturing sector. "This is a significant milestone,'' Mittal said. "We are confident with Kikkoman's expertise in the premium oriental condiments segment, and our deep consumer understanding of the Indian market will help both the companies to emerge as a leading player in the segment and achieve market leadership in the next three to five years." Osamu Mogi, the director and executive corporate officer of Kikkoman's international operations division, said the "partnership will not only allow us to enter the vibrant Indian subcontinent, but also help us build and develop Japanese food culture in the country''. Mogi added: "Kikkoman is committed to promote international exchange of food culture, and with Del Monte's well-established presence in both modern trade and foodservice, a tie-up with them allows us to leverage our combined strength, which will be enriching for customers." The partnership will help boost Kikkoman's overseas sales, which rose 13% in the first half through September to JPY123.6bn (US$1.1bn). Companies: Del Monte Pacific, Kikkoman Corp.